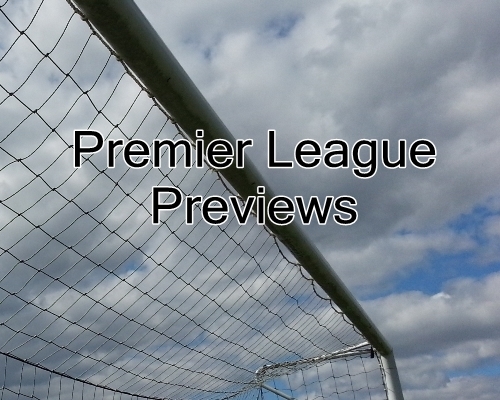 Week 2 of the Premier League is here and I will be giving brief previews and quick picks for each match of the weekend. Week 1 had a some interesting results and I’m expecting more of the same for the second game week in the EPL. Newcastle looked lively and quite good against Manchester City, but the quality of the City side meant that Newcastle ended up losing 2-0. Villa were able to pick up all three points with their away win over Stoke City. While Leicester pushed Everton hard to earn a 2-2 draw, they are coming up against a Chelsea team that looked dominant in their 3-1 win. Chelsea have, perhaps the strongest starting 11 in the league and I can’t see Leicester doing much against it. Both teams come into this one with a player suspended after finishing their respective matches a man down. Crystal Palace looked more convincing in their 2-1 defeat, especially considering how it took a last minute goal for Arsenal to salvage a home win. West Ham probably should have done more against a Spurs team that was down to 10 men for most of the match. Pick: A draw, but I give Crystal Palace the edge and they are more likely to win. Neither team did nearly as badly as most thought they would to start the season. Southampton looked quite good, but still has work to do. West Brom, likewise still have work to do, though they are the team that came through with a result. Pick: Southampton looked quite good and I expect them to get a home win. The Swans started out their season in emphatic fashion with their 2-1 win at Manchester United. Burnley’s home 1-3 loss to Chelsea is contrasted quite sharply. Pick: A Swansea home win. Neither team looked all that great in the first week, however, I am a bit more concerned with Everton than with Arsenal. Arsenal were able to find their way despite being down and playing against stubborn opposition. Everton were pegged back twice by just promoted Leicester City. What they do have going for them is the fact that they are playing at home, even if they are just 1-2-3 against Arsenal in the last 6 matches. Pick: I’m picking Arsenal for another win, but it will be close and could just as easily go Everton’s way or even end in a draw. I would say that both teams came away with unexpected results in their opening matches. While Hull took advantage of their away goal Stoke was not able to capitalize on the advantage of being the home team. This is certainly a match that could go either way and I’m predicting it will be a low scoring affair. Pick: I’m picking a Hull City win, but know that it could go either way or simply end scoreless. Tottenham picked up a first win last weekend even though they really weren’t all that convincing. Of course, it didn’t help that they were down to ten men for most of the match. QPR did not start out so well at home where they lost to Hull City. In the last two matches between these two at White Hart Lane, Tottenham has won 3-1 and 2-1. Rangers did manage a draw in their last meeting and have also won one of the last four matches between the two. Pick: Tottenham should come away with all three points. At this point in the season Sunderland are currently sitting above 20 time Premier League Champions in the table, even if that means very little after just one match. In their last six meetings each team has 3 wins apiece, even if one of them was on penalties. In the last six matches played at the Stadium of Light Sunderland has one win, one draw, and there have been 4 Manchester United wins. Manchester United has continued to struggle at Old Trafford which does give them hope of getting a better result traveling away to Sunderland. At the same time Sunderland are not going to be an easy opponent. If they can get a goal, it is very possible for them to get a draw, or even a win. Pick: I’m picking a Manchester United win, but they will need to pick it up after their opening day loss. This is most certainly the most anticipated match of the weekend. The reigning Premier League Champions against the runners-up. Liverpool had moments of brilliance in their first match that saved them from what could easily have been a draw, or even a loss. On the other side Manchester City put in a dominant display that could have ended with more than just a 2-0 win over a quality Newcastle side. In the fixtures at the Etihad Manchester City has a 3-1-2 record against Liverpool while outscoring them 12-6. Pick: This is one of those matches, again, that could go either way. I am giving the home side the advantage and predicting a Manchester City win. They have the better team and the better form.